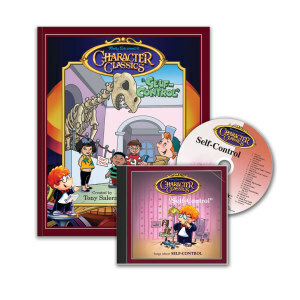 This Teacher Guide has been developed with easy to follow character trait lesson activities for grades one and two. The lessons can be adapted to all curriculum areas taught in the classroom. The activities have been successfully tested and teachers have been delighted to have a product that brings classical music and character building together. 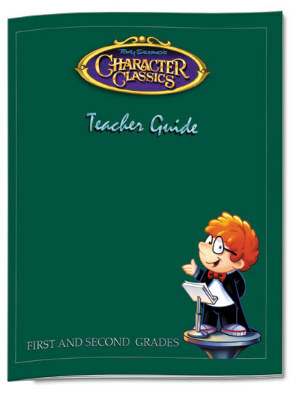 This teacher guide is used for all 12 character traits units. See also, Teacher Activity Resource Book for First and Second Grades. 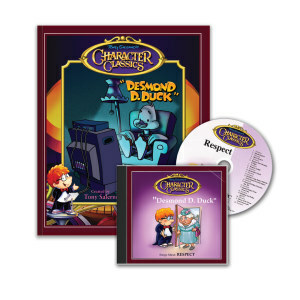 These grade specific activity books are designed to reinforce values presented in the Character Classics musical recordings. Includes: puzzles, coloring pages, word searches, etc. You must put a check in the options box before the product/s you wish to order. If there is no check in the box, we won't know what you are ordering and the price will come up $0.00. 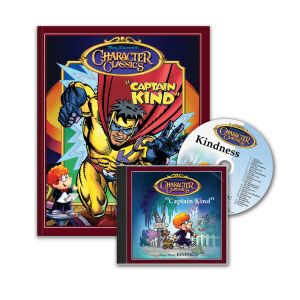 This beautifully illustrated book focuses on a specific character trait and correlates with the songs on the CD. Also included in the book are the complete lyrics of the CD. Teacher's Guides and Teacher Activity Resource Books are available by grade level. This beautifully illustrated book focuses on a specific character trait and correlates with the songs on the CD. Also included in the book are the complete lyrics of the CD. This beautifully illustrated book focuses on a specific character trait and correlates with the songs on the CD. Also included in the book are the complete lyrics of the CD. Teacher Guides and Teacher Activity Resource Books are also available by Grade Level.